Lyudmila Bronstein received a M.S. degree with honors from Kalinin Polytechnic Institute, Russia, in 1974. She was awarded her Ph.D. from the Nesmeyanov Institute of Organoelement Compounds, Moscow, Russia, in 1979 under the guidance of Professor Alexander Rusanov. 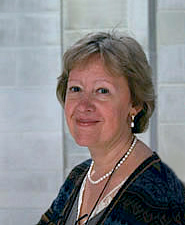 Prior to joining Indiana University in 1999 she was a Leading Scientist at the Nesmeyanov Institute of Organoelement Compounds. Dr. Bronstein’s research program focuses on developing new materials with important applications in the fields of energy, catalysis, and life sciences. Her research group has been working on making solid polymer electrolytes and electrodes for Li ion batteries with enhanced performance, efficient and selective catalytic systems based on nanostructured polymers, and multifunctional magnetic nanoparticles as bioprobes.